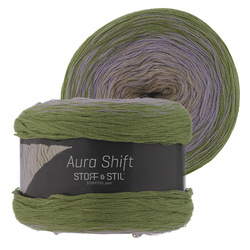 The lovely Aura Shift yarn is a silky-smooth cotton/polyacrylic quality with a change in colour throughout the ball. 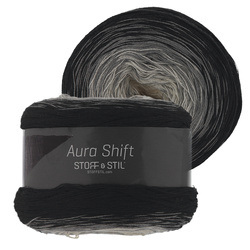 The yarn is perfect for knitting e.g. scarfs and shawls. In fact, one ball has enough to complete a full scarf or shawl. You can download our free patterns here.